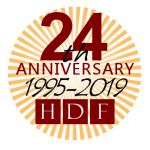 Since 1995 HDF has been providing hands-on technical support and building one-to-one relationships. The company began with the mission of providing affordable, corporate quality Information Technology support and services to small businesses in the Washington Metro area and continues that mission today. Our philosophy is simple: allow business to operate more efficiently and effectively by removing the stress associated with technology in the office. If you give HDF the chance to prove ourselves to you, we will provide you with the best possible service at a reasonable price. Technology constantly reinvents itself. In order to ensure that our clients are receiving the best possible service we stay abreast of the industry. If our clients can benefit from the new technologies, we make them aware of the possibilities…once the technologies have proven themselves.